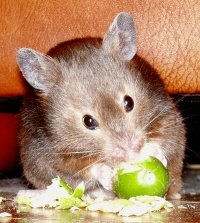 Although the Syrian hamster or golden hamster (Mesocricetus auratus) was first described scientifically by George Robert Waterhouse in 1839, researchers were not able to successfully breed and domesticate hamsters until 1939. The entire laboratory and pet populations of Syrian hamsters appear to be descendants of a single brother–sister pairing. These littermates were captured and imported in 1930 from Aleppo in Syria by Israel Aharoni, a zoologist of the University of Jerusalem. In Jerusalem, the hamsters bred very successfully. Years later, animals of this original breeding colony were exported to the USA, where Syrian hamsters became a common pet and laboratory animal. Comparative studies of domestic and wild Syrian hamsters have shown reduced genetic variability in the domestic strain. However, the differences in behavioral, chronobiological, morphometrical, hematological, and biochemical parameters are relatively small and fall into the expected range of interstrain variations in other laboratory animals. The name "hamster" is a loanword from the German, which itself derives from earlier Middle High German hamastra. It is possibly related to Old Church Slavonic khomestoru, which is either a blend of the root of Russian хомяк (khomyak) "hamster" and a Baltic word (cf. Lithuanian staras "hamster"); or of Persian origin (cf. Av hamaēstar "oppressor"). The collective noun for a group of hamsters is "horde". Hamsters are typically stout-bodied, with tails shorter than body length, and have small, furry ears, short, stocky legs, and wide feet. They have thick, silky fur, which can be long or short, colored black, grey, honey, white, brown, yellow, red, or a mix, depending on the species. Two species of hamster belonging to the genus Phodopus, Campbell's dwarf hamster (P. campbelli) and the Djungarian hamster (P. sungorus), and two of the genus Cricetulus, the Chinese striped hamster (C. barabensis) and the Chinese hamster (C. griseus) have a dark stripe down their heads to their tails. 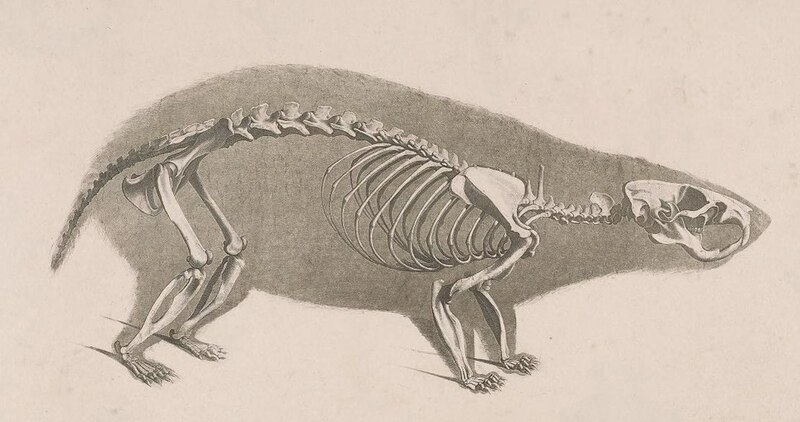 The species of genus Phodopus are the smallest, with bodies 5.5 to 10.5 cm (2.2 to 4.1 in) long; the largest is the European hamster (Cricetus cricetus), measuring up to 34 cm (13.4 in) long, not including a short tail of up to 6 cm (2.4 in). A behavioral characteristic of hamsters is food hoarding. They carry food in their spacious cheek pouches to their underground storage chambers. When full, the cheeks can make their heads double, or even triple in size.. Hamsters lose weight during the autumn months in anticipation of winter. This occurs even when hamsters are kept as pets and is related to an increase in exercise. Most hamsters are strictly solitary. If housed together, acute and chronic stress may occur, and they may fight fiercely, sometimes fatally. Dwarf hamster species may tolerate siblings or same-gender unrelated hamsters if introduced at an early enough age, but this cannot be guaranteed. Hamsters can be described as nocturnal or crepuscular (active mostly at dawn and dusk). Khunen writes, "Hamsters are nocturnal rodents who are active during the night...", but others have written that because hamsters live underground during most of the day, only leaving their burrows for about an hour before sundown and then returning when it gets dark, their behavior is primarily crepuscular. Fritzsche indicated although some species have been observed to show more nocturnal activity than others, they are all primarily crepuscular. In the wild Syrian hamsters can hibernate and allow their body temperature to fall close to ambient temperature. This kind of thermoregulation diminishes the metabolic rate to about 5% and helps the animal to considerably reduce the need for food during the winter. Hibernation can last up to one week but more commonly last 2-3 days. When kept as house pets the Syrian hamster does not hibernate. Syrian hamsters are seasonal breeders and will produce several litters a year with several pups in each litter. The breeding season is from April to October in the Northern Hemisphere, with two to five litters of one to 13 young being born after a gestation period of 16 to 23 days. Dwarf hamsters breed all through the year. Gestation lasts 16 to 18 days for Syrian hamsters, 18 to 21 days for Russian hamsters, 21 to 23 days for Chinese hamsters and 23 to 30 for Roborovski hamsters. The average litter size for Syrian hamsters is about seven pups, but can be as great as 24, which is the maximum number of pups that can be contained in the uterus. Campbell's dwarf hamsters tend to have four to eight pups in a litter, but can have up to 13. Winter white hamsters tend to have slightly smaller litters, as do Chinese and Roborovski hamsters. Hamsters are born hairless and blind in a nest the mother will have prepared in advance. After one week, they begin to explore outside the nest. They are completely weaned after three weeks, or four for Roborovski hamsters. Syrian hamsters typically live no more than two to three years in captivity, and less in the wild. Russian hamsters (Campbell's and Djungarian) live about two to four years in captivity, and Chinese hamsters ​2 1⁄2–3 years. The smaller Roborovski hamster often lives to three years in captivity. The best-known species of hamster is the golden or Syrian hamster (Mesocricetus auratus), which is the type most commonly kept as pets. There are numerous Syrian hamster variations including long-haired varieties and different colors. British zoologist Leonard Goodwin claimed most hamsters kept in the United Kingdom were descended from the colony he introduced for medical research purposes during the Second World War. Other hamsters commonly kept as pets are the three species of dwarf hamster. Campbell's dwarf hamster (Phodopus campbelli) is the most common—they are also sometimes called "Russian dwarfs"; however, many hamsters are from Russia, so this ambiguous name does not distinguish them from other species appropriately. The coat of the winter white dwarf hamster (Phodopus sungorus) turns almost white during winter (when the hours of daylight decrease). The Roborovski hamster (Phodopus roborovskii) is extremely small and fast, making it difficult to keep as a pet. ^ a b c d e f Fox, Sue. 2006. Hamsters. T.F.H. Publications Inc.
^ a b c d e f Barrie, Anmarie. 1995. Hamsters as a New Pet. T.F.H. Publications Inc., NJ ISBN 0-86622-610-9. ^ Patricia Pope Bartlett (2003). The Hamster Handbook. Barron's Educational Series. p. 113. ISBN 978-0-7641-2294-1. ^ a b c d Fritzsche, Peter. 2008. Hamsters: A Complete Pet Owner’s Manual. Barron’s Educational Series Inc., NY ISBN 0-7641-3927-4. ^ Douglas Harper, The Online Etymology Dictionary, entry for "hamster"
^ King, LeeAnne Engfer ; photographs by Andy (1997). My pet hamster & gerbils. Minneapolis: Lerner. p. 13. ISBN 978-0822522614. ^ Thomas A. Scott (1995). Concise encyclopedia biology (Rev. ed.). Berlin: Walter de Gruyter. p. 299. ISBN 978-3110106619. ^ Bartlett, Patricia Pope; Earle-Bridges, Michele (2003). The Hamster Handbook. Barron's Educational Series. p. 21. ISBN 9780764122941. ^ a b "hamster." Encyclopædia Britannica. Standard Edition. Chicago: Encyclopædia Britannica, 2007. ^ Petri, Ines; Dumbell, Rebecca; Scherbarth, Frank; Steinlechner, Stephan; Barrett, Perry (2014). "Effect of Exercise on Photoperiod-Regulated Hypothalamic Gene Expression and Peripheral Hormones in the Seasonal Dwarf Hamster Phodopus sungorus". PLOS ONE. 9 (3): e90253. Bibcode:2014PLoSO...990253P. doi:10.1371/journal.pone.0090253. PMC 3946023. PMID 24603871. ^ Gattermann, R.; Fritzsche, P.; Neumann, K.; Al-Hussein, I.; Kayser, A.; Abiad, M.; Yakti, R. (2001). "Notes on the current distribution and the ecology of wild golden hamsters (Mesocricetus auratus)". Journal of Zoology. 254 (3): 359–365. doi:10.1017/S0952836901000851. ^ Musser, Guy. "hamster | Facts & Breeds". Encyclopedia Britannica. Retrieved 1 February 2018. ^ "Leonard Goodwin – Telegraph". The Daily Telegraph. 14 January 2009. Retrieved 18 January 2009. ^ a b c d Logsdail, Chris; Logsdail, Peter; Hovers, Kate (2002). Hamsterlopaedia : a complete guide to hamster care. Lydney: Ringpress. p. 161. ISBN 978-1860542466. ^ Neumann, K; Michaux, J; Lebedev, V; Yigit, N; Colak, E; Ivanova, N; Poltoraus, A; Surov, A; Markov, G (2006). "Molecular phylogeny of the Cricetinae subfamily based on the mitochondrial cytochrome b and 12S rRNA genes and the nuclear vWF gene" (PDF). Molecular Phylogenetics & Evolution. 39 (1): 135–48. doi:10.1016/j.ympev.2006.01.010. PMID 16483801. ^ Lebedev, V. S., N. V. Ivanova, N. K. Pavlova, and A. B. Poltoraus. 2003. Molecular phylogeny of the Palearctic hamsters. In Proceedings of the International Conference Devoted to the 90th Anniversary of Prof. I. M. Gromov on Systematics, Phylogeny and Paleontology of Small Mammals (A. Averianov and N. Abramson eds.). St. Petersburg. Calvin and Hobbes is a daily comic strip by American cartoonist Bill Watterson that was syndicated from November 18, 1985 to December 31, 1995. Commonly cited as "the last great newspaper comic", Calvin and Hobbes has enjoyed broad and enduring popularity, influence, and academic interest. Calvin and Hobbes follows the humorous antics of Calvin, a precocious, mischievous, and adventurous six-year-old boy, and Hobbes, his sardonic stuffed tiger. Set in the contemporary suburban United States, the strip depicts Calvin's frequent flights of fancy and his friendship with Hobbes. It also examines Calvin's relationships with family and classmates, especially the love/hate relationship between him and his classmate Susie Derkins. Hobbes' dual nature is a defining motif for the strip: to Calvin, Hobbes is a living anthropomorphic tiger; all the other characters see Hobbes as an inanimate stuffed toy. Though the series does not mention specific political figures or current events, it does explore broad issues like environmentalism, public education, philosophical quandaries, and the flaws of opinion polls.At the height of its popularity, Calvin and Hobbes was featured in over 2,400 newspapers worldwide. In 2010, reruns of the strip appeared in more than 50 countries, and nearly 45 million copies of the Calvin and Hobbes books had been sold worldwide. Campbell's dwarf hamster (Phodopus campbelli) is a species of hamster in the genus Phodopus. It was given its common name by Oldfield Thomas in honour of Charles William Campbell, who collected the first specimen in Mongolia on July 1, 1902. It is distinguished from the closely related Djungarian hamster as it has smaller ears and no dark fur on its crown. Campbell's dwarf hamster typically has a narrow dorsal stripe compared to the Djungarian hamster and grey fur on the stomach. This hamster may be raised in captivity and kept as a small pet. Chinese hamsters are part of the rodent family and in the subfamily Cricetidae that originated in the deserts of northern China and Mongolia. Chinese hamsters are a species of hamster in the genus Cricetulus, Chinese hamsters also have an abnormally long tail compared to other hamsters which have stub like tails. Chinese hamsters are primarily nocturnal however will stay up throughout the day for small periods. Chinese hamsters tend to show signs of aggression if kept in enclosures which are inhabited by other hamsters or enclosures which are too small. The European hamster (Cricetus cricetus), also known as the Eurasian hamster, black-bellied hamster or common hamster, is the only species of the genus Cricetus. It is native to a large range in Eurasia, extending from Belgium to the Altai mountains and Yenisey River in Russia. Where abundant the animal is widely considered a farmland pest, and it has also been trapped for its fur. Across its global range, it is considered of least concern, but in many individual Western European countries it is considered critically endangered. Cricetus is also a monotypic genus. Freddie Starr (born Frederick Leslie Fowell, 9 January 1943) is an English comedian, impressionist, singer and actor. Starr was the lead singer of Merseybeat pop group the Midniters during the early 1960s, and came to prominence in the early 1970s after appearing on Opportunity Knocks and the Royal Variety Performance. The golden or Syrian hamster (Mesocricetus auratus) is a rodent belonging to the hamster subfamily, Cricetinae. Their natural geographical range is limited to arid areas of northern Syria and southern Turkey. Their numbers have been declining in the wild due to a loss of habitat from agriculture and deliberate elimination by humans. Thus, wild golden hamsters are now considered vulnerable by the International Union for Conservation of Nature.However, captive breeding programs are well-established, and captive-bred golden hamsters are often kept as small house pets. But they are larger than many of the dwarf hamsters kept as pocket pets (up to 5x larger), and so weigh about the same as a sugar glider. They are also used as scientific research animals throughout the world. The greater hamster-rat, greater long-tailed pouched rat, or long-tailed pouched rat (Beamys major) is a species of rodent in the family Nesomyidae. It is found in Malawi, Tanzania, and Zambia. Its natural habitats are subtropical or tropical moist lowland forest and subtropical or tropical moist montane forest. It is threatened by habitat loss. Hamster Corporation (株式会社ハムスター, Kabushiki-gaisha Hamusutā) is a Japanese video game publisher, with office located in Setagaya, Tokyo, Japan. The game division of Toshiba-EMI Limited spun off Hamster Corporation in November 1999. On the Japanese PlayStation Store, more than 120 titles are distributed under the Arcade Archives brand. Hamster Corporation acquired the rights of Nihon Bussan's video games in March 2014, UPL's video games in May 2016, NMK's video games in June 2017, and Video System's video games in March 2018. Hamster balls are hollow spheres made of clear plastic into which hamsters, gerbils, degus and other small rodent pets are placed, allowing them to run around outside their cages without the risk of running away, getting lost under furniture or in walls. They are designed to provide hamsters with exercise. Balls produce an audible rumble across most surfaces, making them easier to locate even when out of sight. Hamster balls have been manufactured and sold since at least the 1970s. Most are made of durable transparent plastic with air holes and a small door or lid to allow the owner to insert or remove the hamster from the ball.Although hamster balls are designed to protect hamsters, there are hazards such as stairs and other high places from which hamsters can fall, resulting in injury or even death. To protect hamsters, owners may place hamster balls on the lower level of their house, away from any stairs. Some owners also create a simple barrier near the stairs, so that they will not roll down the stairs. Although hamster balls have air holes, hamsters should be allowed to take breaks and leave the ball regularly due to a lack of water that could induce heatstroke or exhaustion. It is important to keep watch over the hamster ball at all times while the pet is inside. The ball can pick up too much speed, causing the hamster to somersault inside and potentially be injured. Hamster balls are recommended by the manufacturers for use with hamsters, gerbils, mice, degus and small rats only; they should not be used for chinchillas or guinea pigs, as their size and body structures are different from small rodents, posing a serious hazard to them if placed inside. The lesser hamster-rat or long-tailed pouched rat (Beamys hindei) is a species of rodent in the family Nesomyidae. It is found in Kenya and Tanzania. Its natural habitat is subtropical or tropical moist lowland forests. It is threatened by habitat loss. This is a list of Xbox Live enabled games on Windows 10 currently planned or released on Windows 10 operating systems through the Windows Store application. The first wave of Windows 10 Xbox games were announced on Xbox Wire in March 2015. All Xbox Live enabled games on Windows 10 are made available on the Windows Store. In order to be released on Windows 10 as an Xbox Live enabled game, the developer needs to be a member of ID@Xbox. Xbox Live enabled titles will be identifiable in the marketplace by a green banner running across the top of the game page icon that reads "Xbox Live". The Official Hamster Republic Role Playing Game Construction Engine, abbreviated as OHRRPGCE or OHR, is an open-source, "All-in-one" game creation system. It was designed to allow the quick creation of 2D role-playing video games (RPGs). It was originally written by James Paige in QuickBASIC and released in late 1997 or early 1998. In May 2005, the source code was released as free software under the GNU General Public License (GPL), and it was soon ported from QuickBASIC to FreeBASIC and to modern operating systems.The OHRRPGCE is designed to be simple to use and to create full Final Fantasy-style RPGs without any scripting. HamsterSpeak, the custom scripting language used by the OHR, is very simple and is intended for users with no prior programming knowledge. As it is specialized with many hundreds of available commands, it provides flexibility although it does not attempt to be a general-purpose language. HUDs, battle systems, special effects, customized menus, and entirely scripted non-RPG games can be created with it. The Roborovski hamster (Phodopus roborovskii; formerly Cricetulus bedfordiae), also known as the desert hamster or Robo dwarf hamster, is the smallest of three species of hamster in the genus Phodopus, averaging under 2 centimetres (0.8 in) at birth and 4.5–5 centimetres (1.8–2.0 in) and 20–25 grams (0.71–0.88 oz) during adulthood. Distinguishing characteristics of the Roborovskis are eyebrow-like white spots and the lack of any dorsal stripe (found on the other members of the genus Phodopus). The average lifespan for the Roborovski hamster is three years, though this is dependent on living conditions (extremes being four years in captivity and two in the wild). Roborovskis are known for their speed and have been said to run an equivalent of four human marathons each night on average. "The Hampsterdance Song" is a song by Hampton the Hampster. It was released in July 2000 as a single. It was produced by The Boomtang Boys, who used a sped-up hook from the Roger Miller song "Whistle Stop", notably featured in Disney's 1973 film Robin Hood. In 2005, CNET named the Hampster Dance the number-one Web fad.It is also one of the earliest examples of an Internet meme. In its original incarnation, the meme first surfaced as a web page in 1998. Created by Canadian art student Deidre LaCarte as a GeoCities page, the dance features rows of animated GIFs of hamsters and other rodents dancing in various ways to a sped-up sample from the song "Whistle Stop" by Roger Miller. The Winter white dwarf hamster (Phodopus sungorus), also known as the Russian dwarf hamster, Djungarian hamster, striped dwarf hamster, Siberian hamster or Siberian dwarf hamster, is one of three species of hamster in the genus Phodopus. It is ball-shaped and typically half the size of the Syrian hamster, so is called a dwarf hamster along with all Phodopus species. Features of the Winter white hamster include a typically thick, dark grey dorsal stripe and furry feet. As winter approaches and the days shorten, the Winter white dwarf hamster's dark fur is almost entirely replaced with white fur. In captivity, this does not always happen. In the wild, they originate from the wheat fields of Kazakhstan, the meadows of Mongolia, Siberia, and the birch stands of Manchuria. Winter white dwarf hamsters are common as pets in Europe and North America, and exhibit greater variance in their coats than those found in the wild. They reproduce often—more so than Syrian hamsters, and as they have no fixed breeding season, can continue to produce large numbers of offspring all year round. Young pups act aggressively to one another, while breeding females may show similar aggression to males. The winter white is known to be one of the most tameable types of hamsters. Zorbing (globe-riding, sphereing, orbing) is the recreation or sport of rolling downhill inside an orb, generally made of transparent plastic. Zorbing is generally performed on a gentle slope, but can also be done on a level surface, permitting more rider control. In the absence of hills some operators have constructed inflatable, wooden, or metal ramps. Due to the buoyant nature of the orbs, Zorbing can also be carried out on water, provided the orb is inflated properly and sealed once the rider is inside. "Water walking" using such orbs has become popular in theme parks across the UK. There are two types of orbs, harnessed and non-harnessed. Non-harness orbs carry up to three riders, while the harness orbs are constructed for one to two riders. Double-harness spheres have different slope requirements, and must only be operated in specific locations. The longer runs are approximately half a mile. The first zorbing site was established in Rotorua, New Zealand, by ZORB Ltd.